Jose Altuve might very well win the American League MVP this season. The Astros second baseman leads the Majors with a .361 batting average, tops the AL in many player value measures and even ranks fourth in the league in slugging percentage. It’s been a steady climb for the 5-foot-6-inch Venezuelan, from a non-prospect to a solid starter to an All-Star to one of the best players in the world, and naturally, he’s had more than a few doubters along the way. 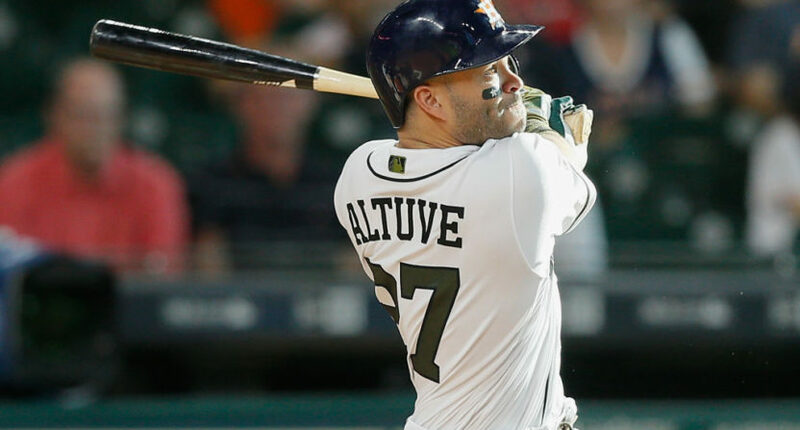 Again and again, analysts and talent evaluators insisted Altuve’s diminutive stature would preclude him from a successful big-league career—even as he put up huge numbers at every level he played at. The doubts began long before Altuve made his Major-League debut. @mwash1983 I like Altuve a lot, but hard to place a 5'5" 2B. He's going to have to fight height and that SS's usually slide over to 2B. By mid-2011, Altuve was tearing up the minor leagues, and his call-up to Houston appeared imminent. Fans wooed by his stat lines began comparing him to hotshot infield prospect Jean Segura. Analysts were not having it. Segura. RT @tjco1006 ur opinion, better offensive prospect. Altuve or Segura? Segura, with a tip of the cap to Altuve's awesome season. RT @tjco1006: would u rather have Segura or Altuve long-term? No matter the numbers Altuve posted, he couldn’t shake the perception that his performance wouldn’t endure against Major-League pitching. Not really. RT @RichWilsonFP911: @Keithlaw Starting to believe in Jose Altuve? Altuve was promoted to the Majors that July and posted a highly respectable stat line for a hopeless Astros team. Still, this passage from Grantland’s Rany Jazayerli more or less summarized public opinion on him. Diminutive second baseman Jose Altuve led the minors with a .389 average before he was called up in July, and has hit .277/.295/.370 since joining the Astros; on the other hand, he’s listed at 5-foot-7, and it’s widely accepted that he was wearing platform shoes while being measured. He’s your basic David Eckstein starter kit, with contact ability and grit oozing from his pores. The next year, Altuve made his first All-Star Game. Two years after that, in 2014, he won the AL batting title. Last year, he won his second batting title, while finishing third in AL MVP voting. This year he’s cruising toward batting title No. 3, with an MVP in reach. David Eckstein starter kit? Not as good as Jean Segura? Not quite.